Medical oncologist Jyoti D. Patel, MD, specializes in the treatment of lung cancer and other thoracic cancers. She is actively researching new cancer treatments, including personalized therapies that target specific genetic mutations in tumors. Someone is diagnosed with lung cancer every three minutes. But today, the outlook for a person with lung cancer is better than ever, thanks to better insights into the disease, new medicines, advanced technology and less invasive surgery. Most patients with lung cancer need more than one type of therapy as part of their care plan. 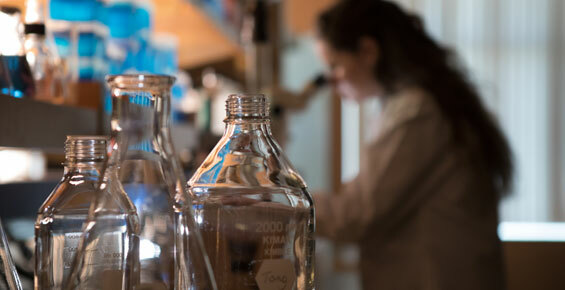 Patients at the University of Chicago Medicine have access to traditional treatments, such as chemotherapy, as well as clinical trials of the newest targeted treatments, including immunotherapies. We offer sophisticated and compassionate care to patients every step of the way. Where you or a family member with lung cancer starts the care journey matters. Patients and families affected by this disease benefit from one of the most experienced lung cancer teams in the country. Experts in eight specialties come together weekly to discuss their patients, providing their unique input so the team can develop the most effective care plan for each individual. We’re bringing world-class care closer to home by expanding our services to Orland Park. From access to low-dose CT screenings to novel clinical trials, our team of experts will ensure you get the best quality care without sacrificing comfort. Please let your provider know if Orland Park is more convenient for you. Our lung cancer experts have more combined expertise than any other lung cancer physician team in Chicago. 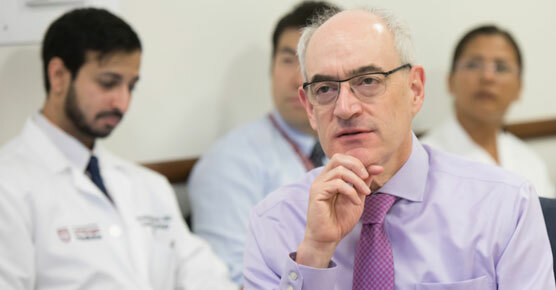 UChicago Medicine's team includes experts in eight specialties. These specialists provide care at convenient locations in Chicago, New Lenox and Orland Park. When lung cancer is detected early, treatment can begin sooner, giving patients a higher chance of success. We use advanced tools and techniques to screen and monitor people at high risk of developing cancer. Low-dose CT scans are quick and painless diagnostic tests for detecting very small changes in the lungs that could indicate cancer. During fluorescence bronchoscopy, our pulmonologists use a thin, lighted tube to look for tiny tumors in the lungs. 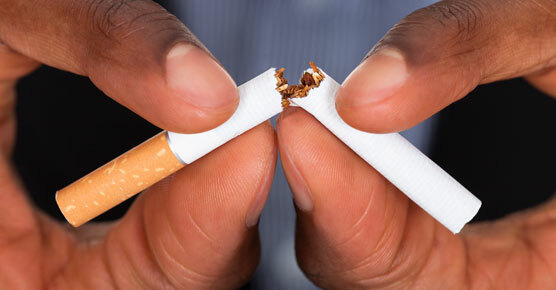 The most effective way to reduce your risk of developing lung cancer is to stop smoking. We provide a variety of programs for individuals whose addictions, lifestyle or medical histories put them at high risk for the disease. Our pulmonologists biopsy some cancers without surgery and, in many cases, also treat cancer hidden in the airways of the lungs without invasive procedures. Genetic changes can drive a cell to become cancerous or cause cancer to spread. Our molecular pathology lab searches more than 1,000 genes to screen for mutations in every patient with lung cancer. Therapy can then be matched, or targeted to, the specific genetic changes in each tumor. Patients have access to clinical trials for some of the newest targeted treatments, including immunotherapies that supercharge the power of the immune system to fight cancer. These treatments are not widely available and hold tremendous promise. Our radiation oncologists are leaders in using the latest technologies for lung cancer — including four-dimensional mapping and image-guided treatment — to deliver targeted radiation therapy to the tumor, while sparing nearby healthy tissue. UChicago Medicine lung cancer surgeons are board-certified thoracic surgeons who specialize in treating diseases of the lungs and chest. They perform surgery using minimally invasive techniques, which results in smaller scars, less pain and fewer complications after surgery. We take a holistic approach to helping our lung cancer patients, from diagnosis through treatment and aftercare. We support patients and provide hope for families through resources such as smoking cessation programs, physical therapy and nutrition, mental health and financial counseling. When Ivy Elkins, a non-smoker, learned she had metastatic non-small cell lung cancer, she thought she had just a few months to live. Targeted treatments shrunk the tumors and stopped the cancer from spreading. Three years after her diagnosis, Elkins is enjoying life and advocating for lung cancer awareness and research. Greg Klawitter underwent surgery for non-small cell lung cancer at UChicago Medicine in 2001. The retired Chicago police officer has not forgotten Mark Ferguson, MD, the thoracic surgeon who saved his life, "It takes a special human being to do what he does," he said. Find a lung cancer clinical trial that's right for you. Please complete this secure form to request an appointment with a UChicago Medicine lung cancer expert. A representative will contact you within one to two business days to help you schedule the appointment. To refer a patient for lung cancer care, please call UCM Physician Connect at 1-800-824-2282.